At Chester County Hypnosis I feel it's of great importance to speak on the phone with my clients first and discuss their issue. Since I am not a physician, I neither diagnose nor treat but offer hypnosis techniques and methods, coaching, guidance and training for people to help themselves. I often work with referrals from Physicians, Psychologists and other Healthcare professionals. I never tire of teaching my clients all the uses and advantages of Hypnosis, hypnotherapy and self hypnosis. I believe that our natural, hypnotic mind state is a tool for every person to be able to use for their own benefit. Your Hypnosis belongs to you and you can learn how to get the most out of it and unlock your inner potentials. More than anything I am a true believer in the positive results of Hypnosis and use it myself, everyday. Without realizing it, just by your looking at the Chester County Hypnosis web page, you have started the mechanism of positive change in your mind. The mind places great importance on expectancy, and what is expected, tends to be realized. I can help you to remove some of the self-limiting beliefs that prevent you from going forward with making the changes to be who you want to be. Whether those barriers are preventing you from being able to Stop Smoking, Lose Weight, Reduce Fear, Control Pain, Increase Self-Confidence and Self-Esteem, Stop Nail Biting or Control Irritable Bowel Syndrome, I can help you to help yourself. Call me, Joe Nunan CH,CI, at 610-296-4929 for information about what I do, how it works and ask any questions that you might have. I am always glad to answer any questions you might have about Hypnosis and how it might apply to you in helping you to achieve your goals. I can provide you with all the information you need in making an informed decision. 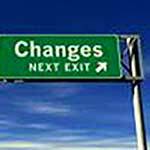 At Chester County Hypnosis I help people everyday to easily make difficult changes they really want and need, but just can't seem to get accomplished. With sessions to Quit Smoking, Lose Weight, Improve Sports Performance and Reduce Stress, I see my clients achieve personal goals they had tried to reach unsuccessfully for years. I always provide clients with the safest and most effective way to quickly and easily make the personal changes they want and need. My clients are often surprised at how easily they can be free of bad habits, unwanted behaviors or persistent fears that they have struggled unsuccessfully to change for many years. I take great pride in the excellent results my clients are able to attain from my services. I want my clients to have as much information about Hypnosis and Hypnotherapy as possible, so that they can learn how their life can become richer and more rewarding. I believe that the more they know, the more they can realize that its not what they thought, nothing to have concerns about and can have amazing benefits that they can quickly achieve with it. There are literally hundreds of scientifically proven, clinically tested benefits of Hypnosis, so do not hesitate to call and ask whatever you need to know, I want to help my clients in every way I can. Don't settle for just any Hypnotist. You want to succeed and I want you to succeed. I've been doing this full time for years and have helped thousands of clients accomplish the goals they want and need. 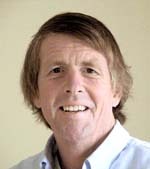 Joseph Nunan CH is an internationally known, fully Certified Hypnotherapist, Certified Hypnosis Instructor and member of the Teaching Faculty of The National Guild of Hypnotists, the oldest, largest and most respected hypnosis accrediting organization in the world. Chester County Hypnosis operates according to the National Guild of Hypnotists' Code of Ethics and Professionalism, and I consistently provide my clients the very best services, to help them accomplish and surpass all of their desired goals. My primary purpose is to enable my clients to quickly and easily achieve positive personal change. Chester County Hypnosis is located off Rte 3 in West Chester and is easy to get to from anywhere in the Philadelphia area, including Exton, King of Prussia, Valley Forge, Malvern, Paoli, Main Line, Downingtown, Phoenixville, Great Valley, Unionville, Kennett Square, Coatesville, Glen Mills and Philadelphia. With close access to Routes I-76, I-476, 202, 30, 252 and PA Turnpike, our clients find that I am a short drive from anywhere in Southeastern Pennsylvania, Northern Delaware and Southern New Jersey. Please see my Directions page for complete directions for your appointment.